Pasi Ihalainen is Professor of Comparative European History at the University of Jyväskylä, Finland. His many publications include his most recent book The Springs of Democracy: National and Transnational Debates on Constitutional Reform in the British, German, Swedish and Finnish Parliaments, 1917–1919 (2017). He is a board member of the research network EuParl.net. Cornelia Ilie is Professor of Linguistics and Rhetoric, Malmö University, Sweden. She has published extensively on political media and academic discourses, rhetoric and argumentation, including The International Encyclopedia of Language and Social Interaction (2015) and Argumentation across Communities of Practice: Multi-disciplinary Perspectives (co-edited with Giuliana Garzone, 2017). She is the president of ESTIDIA (European Society for Transcultural and Interdisciplinary Dialogue). 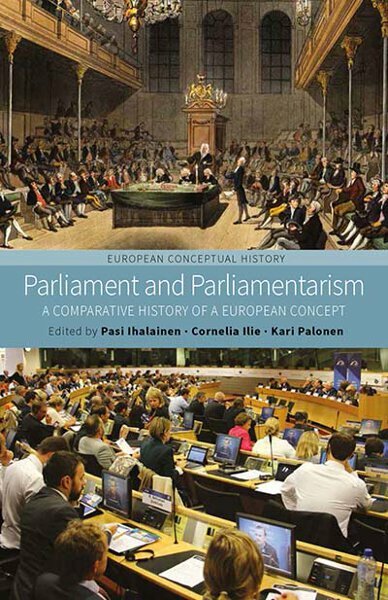 Kari Palonen is a Professor of Political Science at the University of Jyväskylä, Finland, and the editor-in-chief of the journal Redescriptions (Manchester University Press). Recent monographs include From Oratory to Debate: Parliamentarisation of Deliberative Rhetoric in Westminster (2016) and A Political Style of Thinking: Essays on Max Weber (2017).